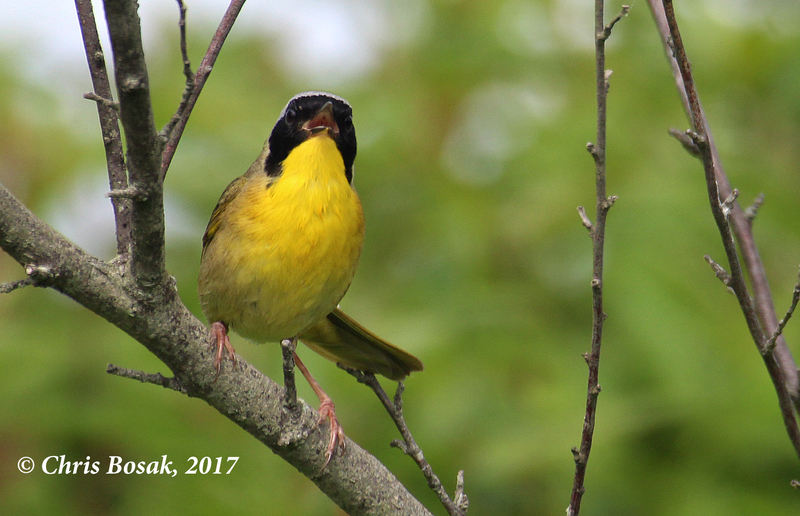 Rare bird alerts are a good way to find out when spring migrants, like this yellowthroat, are arriving. What do we do now with spring migration winding down and birds busy with the task of continuing their species? We still look for birds, of course, but where to find them? Resident birds make themselves scarce as they hide away in holes and on nests. We don’t want to disturb the birds at this time of year anyway. It’s a good time to check out the rare-bird alerts to see what others are finding throughout the region. I’ve never been a big “chaser,” but it’s always fun to see what birds are around. You never know, maybe one of the rarities is in your town or in a neighboring town. The best place to look is birding.aba.org, which is run by the American Birding Association. It is a combination of birding news and rare-bird alerts. Not all of the sightings listed are rare, but may be unusual for location or time of year. Sometimes, contributors just have a bird question for the community. The “landing page” of the website gives users the option to click on any state. It’s fun to click on random states to see what’s showing where. If you’re traveling, you can always check to see if any unusual birds are hanging around your destination. Some of the recent sightings in New Hampshire include nighthawks, chukar, king eider, mourning warbler and snowy owl. Yes, you read that last one correct. A snowy owl is still around the New Hampshire coast. New Hampshire Audubon also maintains a great rare-bird alert system. Visit www.nhaudubon.organd click on “Get Outside,” then “birding.” It is updated frequently and lists rare and unusual sightings from around the state. There is also eBird, which is revolutionizing birding and bird tracking, but I’ll save that one for another day as it warrants its own story. The lists will not let you know how the common species are doing, or where they are being seen. Cardinal and chickadee sightings are not appropriate for the rare-bird alert lists, but you can always send them to me if you feel the impulse to share. I’m always interested in knowing what people are seeing — rare and common species welcomed. The ABA site is also good fodder for bird discussions. Many birders use the site to have questions about birds answered. A birder posted last week about a bird song she had heard and wondered if anyone could figure out what it was. While I’ve never been a lister or chaser, it’s always good to check in occasionally with the rare-bird alerts. You’d hate to find out too late that a once-in-a-lifetime bird was right under your nose. This entry was posted in For the Birds column and tagged chris bosak's for the birds, New England rare birds by Chris Bosak. Bookmark the permalink.